Chinhoyi - Mathingson Gandawa, who was a known staunch Zanu-PF supporter, allegedly hanged himself at his home in White City suburb after a domestic dispute with his wife over allegations of extra-marital affairs, using Emmerson Mnangagwa’s trademark scarf. The 29 year old Zanu Pf supporter from Chinhoyi reportedly hanged himself following a domestic dispute with his wife. 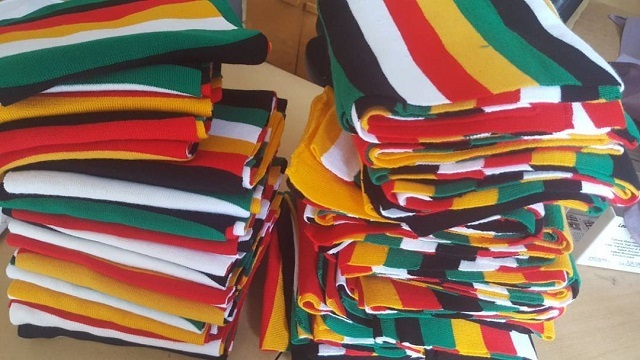 The ‘ED’ scarf, was it is called now, was first worn by the First President of Zimbabwe the late Canaan Banana and former President Robert Mugabe during weekend football matches. Mnangagwa has now made the scarf part of his costume.But these days, you’d be hard-pressed to find Zimbabwe’s new president Mnangagwa without a scarf in his country’s flag colours draped around his neck. The clothing item has become an important symbol of a new era for a country that’s been plagued by economic and political strife. President Mnangagwa came into power in November last year. His predecessor, Robert Mugabe, stepped down after 37 years due to military pressure. According to the BBC, the coloured scarf — which he now wears in all temperatures and climates — was a way of rebranding Zimbabwe and distancing himself from the former leader's rule. The mother-and-daughter fashion start-up who made the scarf gave them away on a whim, following a phone call to the Ministry of Foreign Affairs. “We called and were like, ‘We’ve got these products, we’re not sure how you can use them.’ And next thing you know the President is wearing the scarf … It was really such a shock on our end,” Celia Rukato told the BBC’s Newsday programme. The scarf was one of the first products she and her mother, Hesphina, produced when they formed their start-up fashion company in 2014, which was later sold. Now the scarf is famous in its own right, even boasting its own viral hashtag, #EDscarf. It’s not just a fashion statement, but a symbol of a new dawn for the troubled African nation. Mirroring the colours of the Zimbabwean flag, it provided a sense of unity and national identity.